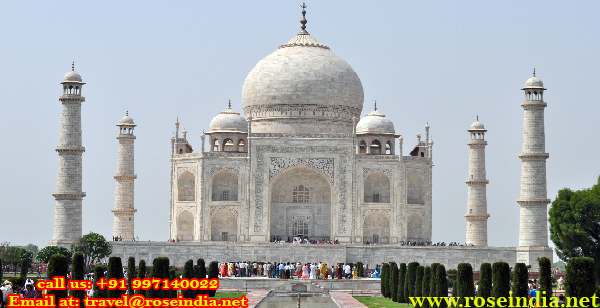 Get a Two-Day Delhi Agra Tour Package Booked for a Captivating Weekend, We offer Delhi Agra 2 days tour package starting from Delhi. We offer Delhi-Agra-Delhi two days tour package in AC car/taxi, Book our Two-Day Delhi Agra Tour Package for a Captivating Weekend. 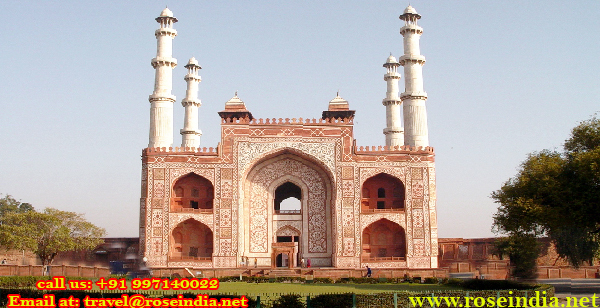 Our two days tour package covers many places of tourist interest in Delhi and Agra. 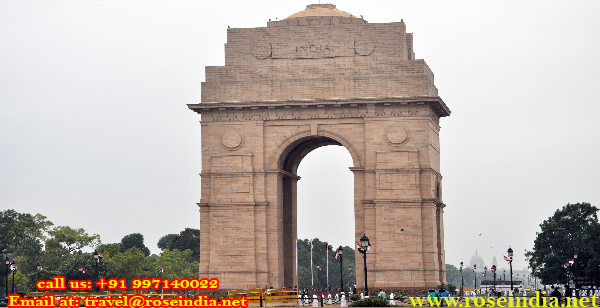 First day you will spend your time in Delhi visiting various historical places in Delhi. 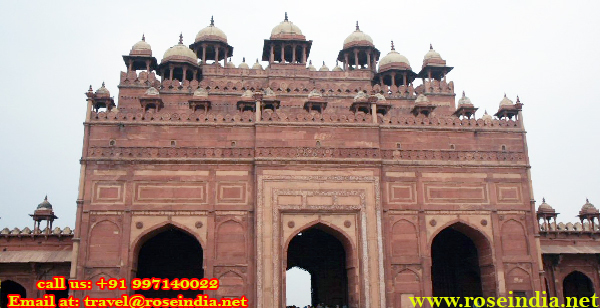 Second day you will travel to Agra to see famous Taj Mahal, Agra Fort and Fatehpur Sikri. Tour package can be customized as per your personal requirement. The records of our glorious and poignant past have always formed a great part of our present lives. Histories are much more than what are written as stories in books and have other ways of manifesting themselves and the great architectural remnants are one among them. Various monuments built during ancient era still stand intact with a little attrition in their overall appearance. Now these have always attracted tourism in various regions of country with the help of government agencies undertaking the maintenance and preservation of the sites. Delhi and Agra, parts of the Golden Triangle, are such places which have become popular tourist destinations primarily by virtue of their archaic buildings, most of them built under Mughal reign. There are other interesting constructions and beauties as well and that makes the two cities extremely preferable. Since the two destinations are not highly distant from each other (230 km), they can be easily covered by reserving a Two Day Delhi-Agra Tour Package. A road trip is an enjoyable way of exploring more out of a trip and ensures the satiation of travel bug. Especially if someone wants to go out on a small vacation in the last two days of the week, it is a good option to travel by car. Talking about cars, different people have different levels of comfort and Rohini Taxi, a Delhi-based agency providing taxi services, have the flexibilities of options designed as per that. There is an array of models to choose from and each are equipped with modern and substantial amenities to suit the needs of the customers. There are knowledgeable drivers take care of the riders by way of their demeanour and safe driving skills, making the rides more amusing. The economic rates and the easy payment policies add to the standard of services of Rohini Taxi. Moreover, the customer care desk is always available to answer your queries and book your packages. All that needs to be done is call or get online a well-planned weekend is just a few seconds away. Baba Kharak Singh Marg: The State Emporia Complex situated here is a speciality marketplace that lets you have the best from each state via emporiums dedicated towards them. Right from Mahubani Paintings at Amrapali (Bihar emporium), tea at Manjusha (West Bengal emporium) to word carvings at Mrignayani (M.P. emporium), to Shawls at Zoon (Kashmir emporium), the tourists cannot get enough of this place which houses such a vast collection of things from all over the artistically and naturally potent provinces of India. 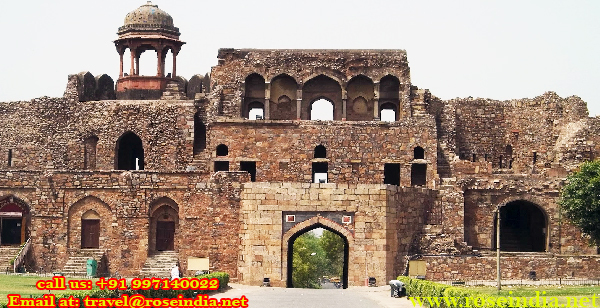 Feroz Shah Kotla: This was once a royal citadel developed under Sultan Feroz Shah Tughlaq in a bid to protect his own capital city of Delhi Sultanate, known as Ferozabad. Now the remains of the fortress devoid of its gilded surface, precious stones, its outer sheen and various carvings and paintings, supposedly plundered by invaders. The entrance of Jama Masjid, the most surviving mosque still used by devotees lies to the north while the Ashokan Pillar, transported from Haryana and reinstalled within the fortress. Red Fort: One of the core extensions of the historical past of Delhi, it is a spectacular specimen of architectural acumen. The fort was used as residence purposes by the emperors when Shah Jahan shifted his capital from Agra to Delhi (Shahjahanabad). The massive enclosing walls and the various buildings inside are a treat to watch. On Independence Day, the ramparts of the fort are used for delivering the Prime Minister's speech, which follows the hoisting of the Tricolour Flag. 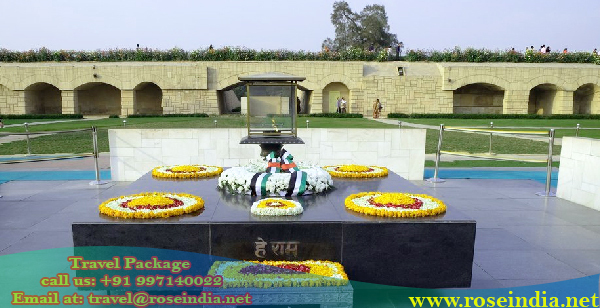 Rajghat: The place of cremation of Mahatma Gandhi, the great national leader, is a popular place for the visitors and lies along the bank of the sanctified Yamuna. A large platform laid with black marble has been constructed at Raj Ghat alongside which burns an eternal flame signifying perpetuity of the ‘Father of the Nation'. The front side of the platform has the engraving of Hey Ram, which were the last words of Mahatma Gandhi before he slept in his heavenly abode. There is a park lined with trees and a museum called National Gandhi Museum at the memorial site. 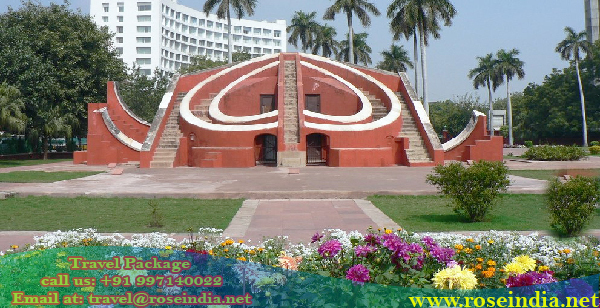 Jantar Mantar: One of the five observatories that were built by Maharaja Sawai Jai Singh II of Jaipur for the scientific studies in terms of tracing the astronomical position and determining time. The most striking part of this spectacular building is the Samrat Yantra, a massive sun dial use for calculating the time of the day accurately. There are other masonry instruments used for calculating various other celestial phenomena. An example of the scientific advancement of early ages, visiting the place is a great learning experience. National Museum: Being one of the largest museums in India, it holds a plethora of articles belonging to the pre-historic era, the ancient, medieval and modern times. The museum was constructed way back in 1949. Around 200,000 exhibitory items in this building belong to the various departments like Arms and Armour, Education, Archaeology, Conservation, Jewellery, Manuscripts, Numismatics and Epigraphy, Paintings, Public Relations, etc. The Rotunda-based structure of the museum is divided into three floors and seeks to preserve the history and heritage related to India. India Gate: Built in the memory of the brave India soldiers who sacrificed their lives in the First World War, the archway is a majestic structure that is full of engravings and its importance accentuates with the presence of Amar Jawan Jyoti, a black marble plinth with an undying flame that signifies the immortality of the soldiers. The lush gardens around the gateway and the view of parliament along with the beauty of the monument attract lot of tourists. Purana Qila: This fortress was built by Sher Shah Suri on the relics of the most ancient part of Delhi called Indraprastha. However, it is said that the huge gateways and the boundaries, as well as some parts of the Old Fort were constructed under Humayun, who was later replaced by the Pashtun ruler. The earlier form was meant to be the inner citadel of the Din Panah and later form and its few internal structures and the outer grandeur of ramparts flanked by bastions, have still survived. 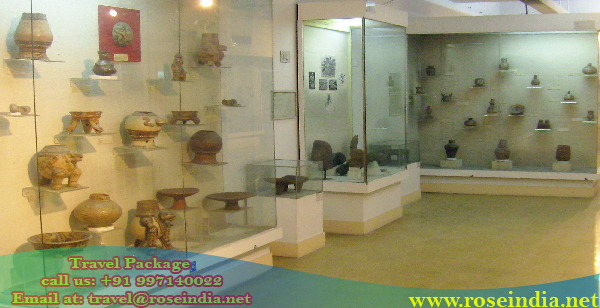 The various findings during the excavations carried here by ASI are displayed in the Archaeological Museum, situated inside. 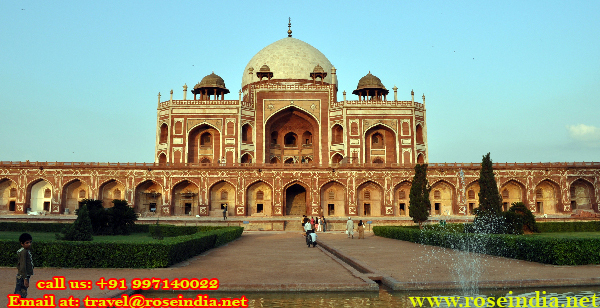 Humayun Tomb: A distinctive example of Persian-Indian blended architecture, built under the orders of Hamida Banu Begum, the widow of Humayun, this monument is a sheer marvel. The concept of the Charbagh enclosing a tomband other innovationswere introduced in India with this construction. The pathways leading to the tomb from the entrance are dotted with several small monuments where several deceased Mughals were buried. This is because the beautiful tomb is centred at the shrine of the most revered Sufi saint Hazrat Nizamuddin Auliya that was quite an auspicious place for burial. 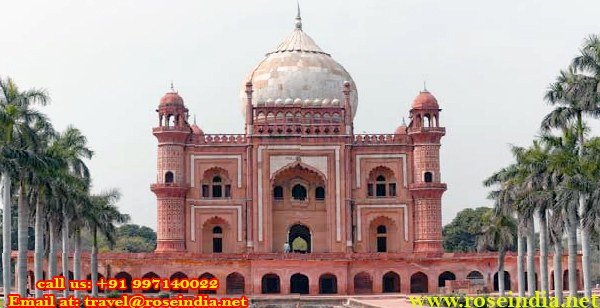 Safdarjung Tomb: Another garden tomb and marvellous construction of marble and sandstone, it is said to be the last monuments that depicts the Mughal style of architecture. It was built as the mausoleum of Mirza Muqim Abul Mansur Khan (popularly known as Safdarjung), the Wazir-ul-Mamalik-i-Hindustan (erstwhile India's Prime Minister) during Ahmad Shah Bahadur's rule. Safdarjung's son Nawab Shujaud Daula built this memorial with domed, arched red-brown and white coloured segments, to commemorate his father with the permission of the Mughal emperor. 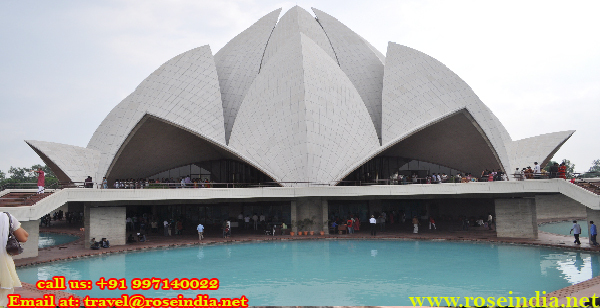 Lotus Temple: A notable white structure with its Lotus flower-shaped marble petals clustered into nine sets of three each, this is Delhi's must visit site. Conferred with many accolades around the world for its beautiful architecture, this building is actually a Bahá'í place of worship, which is open for all communities irrespective of their cast, creed and religion. The prayer hall, a library, audio-visual room and information centre inside the temple provide for an engaging tour. There would be a couple of halts at the culinary delightful destinations to satiate the taste buds and the hunger. After visiting these important places, the tourists would be taken back to their nests by around 10 PM to have a relaxing night before initiating the second part of Two-Day Delhi Agra Tour package. In order to take the pleasure of exploring Agra in a very non-hasty way, the trip starts at about 6:30 in the morning. It would take around 3 hour and 45 minutes via Taj Express Highway/Yamuna Expressway to reach the historical Agra city and the time also includes a brief stop for breakfast in the way. By 10 AM the city of love and its signature monument would be arrived at. Agra Fort: One of the most robust constructions during the Mughal realm, the fort displays a wonderful work of art through its enclosure walls some richly decorated buildings. As per the historical records, Akbar ordered rebuild the ruins of the brick fort known as Badalgarh and this is how the fortified structure was born. Apparently there were 500 buildings inside it, which were destroyed over the years and only 30 have managed to survive. The main residence of the Mughal rulers, before the shift to Delhi, was also used by the Lodi dynasty, the Marathas, the British. The semi-circular ‘walled city' made of red sandstone is flattened towards the east, ending with an almost straight wall towards river Yamuna. Taj Mahal: A specimen of what unfathomable love is capable can lead to, this one among the Seven Wonders of the World, is a splendour personified. Be it the vast and shapely garden with pool overlooking the beauty; the ivory-whiteness of the monument that spells purity; the inlay of semi-precious stones and motifs on walls and windows; the supporting minarets having an identity of their own, the enhancing Yamuna by its side; or the grandeur of the overall monument; there are several factors that make it totally unmatchable. But above all the fact that it embraces the cenotaph and tomb chamber beneath of Mumtaj Mahal and his lover-husband Shah Jahan, who ordered to build the Taj Mahal, places it at the pinnacle of the architectural excellence. Akbar's Tomb at Sikandra: Among the many Mughal emperor's who ruled the ancient Indian empire, Akbar had come across as the most amiable ruler, who garnered highest amount of love from his subjects. As per records, the Akbar's Tomb at Sikandra, a suburb of Agra, was planned and initiated for by the secular Monarch and was later completed under his son Jahangir (also called Salim). It is one of the important architectural achievements of the Mughal era as the four-tiered pyramid style structure flanked by four minarets capped by Chhatri towards the south. Like other mausoleums, the real tomb lies at the basement of the fake tomb, lying inside a marble pavilion. The red sandstone base along with touches of white marble makes it appear quite interesting. Fatehpur Sikri: The fortified city's name translates into 'City of Victory' and with its design and location, had actually stood victorious in the field of engineering and planning. 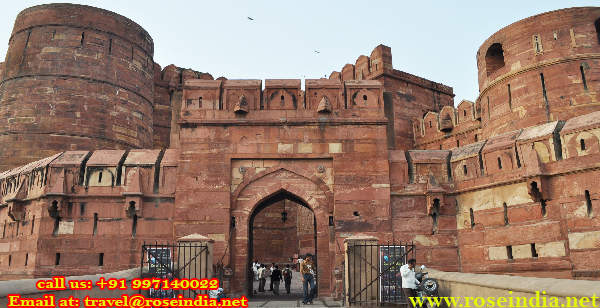 The small city with several gates and attractive buildings made using red sandstone was the first planned city of the Mughals and served as the residence of Emperor Akbar for about thirteen years. It is said that the city was dedicated to Sufi Saint Sheikh Salim Chisti, who was highly regarded by Akbar and also blessed the latter with son Salim. Lying on the Sikri Ridge (where in a cavern the Saint lived), surrounded by lake on one side and walls on other three, have attractions such as Panch Mahal, Buland Darwaza, Tomb of Salim Chisti, Huzra-i-Anup Talao, etc. With this the two-Day Delhi Agra Tour package would reach its last leg, as the tourists would get ready for a return journey to Delhi and they should certainly take the packets of Petha as sweet memoirs of the incredible Agra.